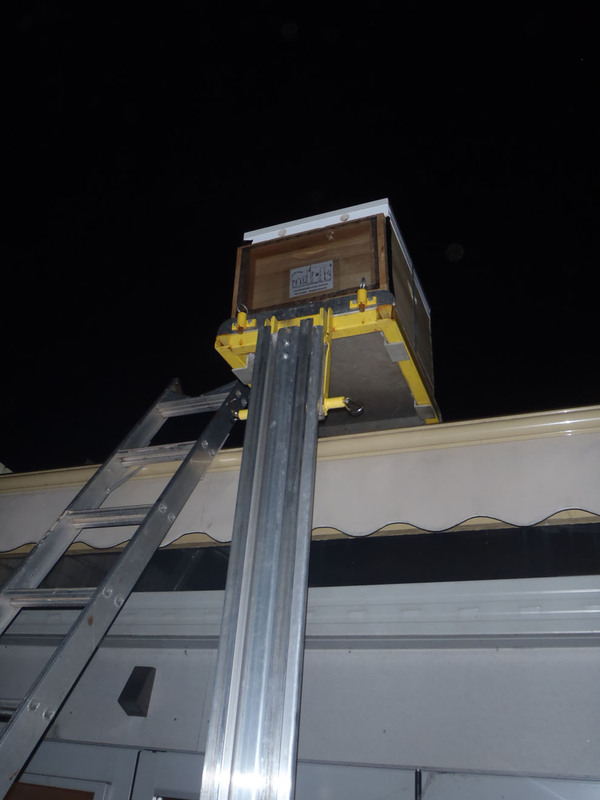 Over at the urban beehive we are always lifting heavy hives onto rooves, a perilous and disturbing practice as many a hive has teetered on the edge and I can’t imagine how annoyed the girls would get if they fell. 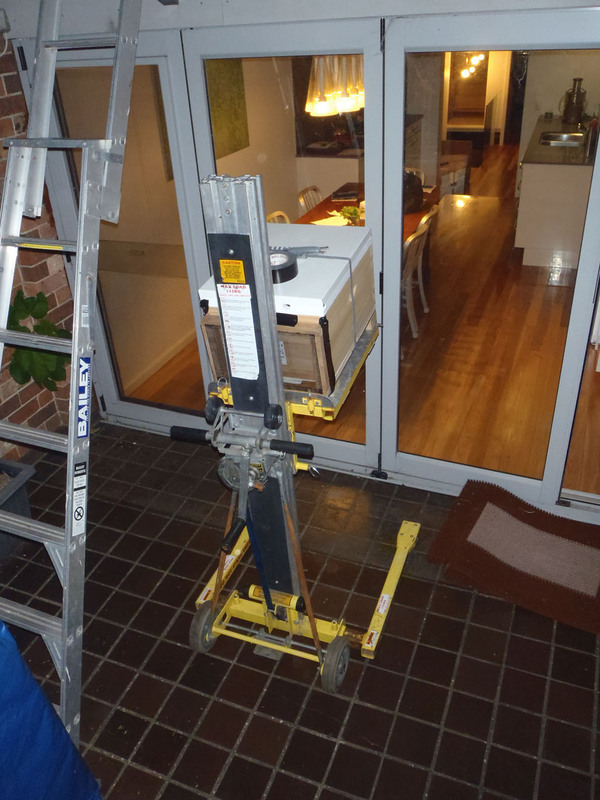 There had to be a better way and I think I have found it… Drum roll please… a materials lifter. What is a materials lifter, I hear you say. 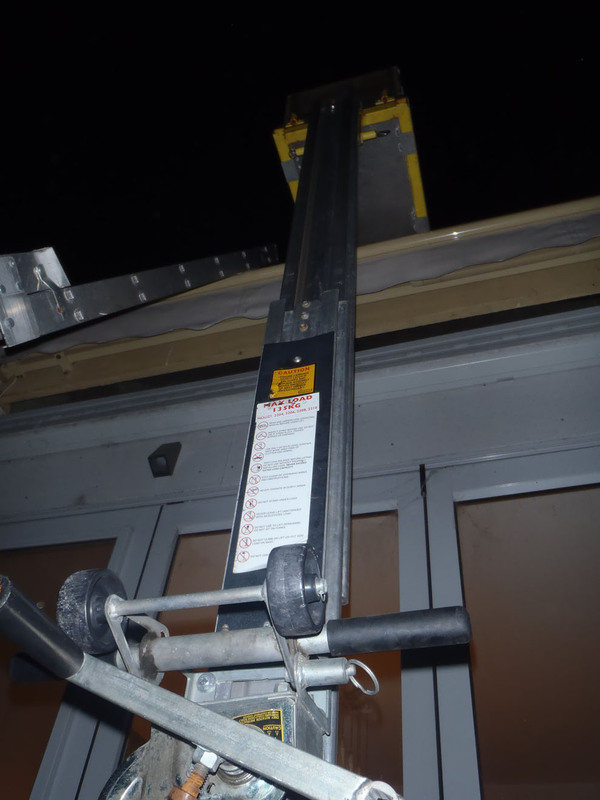 Well they are designed for lifting air conditioning units and other heavy things up unto rooves and walls etc. 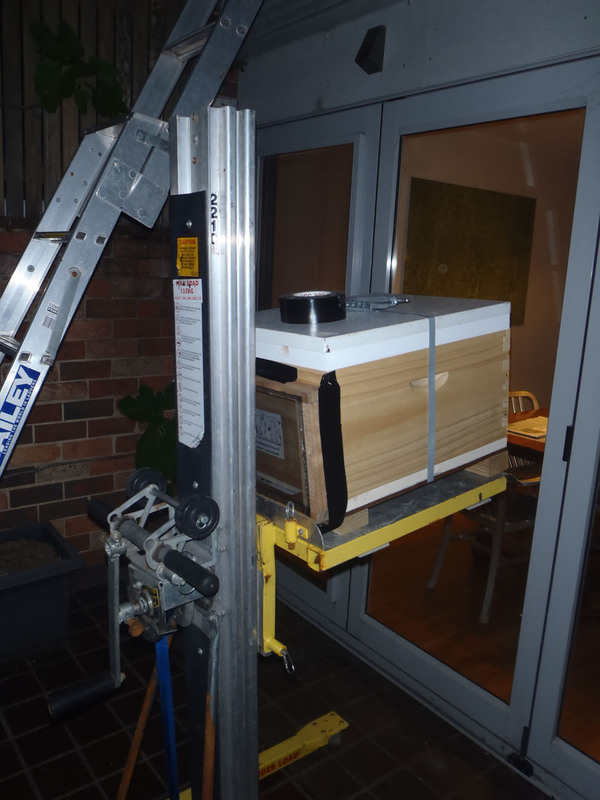 I found one on eBay that needed a little work and can lift 135 kg up to 3.5 meters high. We have used this little beauty a few times now and I really don’t know we did without it… really it has made lifting those heavy hives so much easier.